Sunbeam F4A trolleybus 868 (XDH 68) on a private tour in Bloxwich High Street. 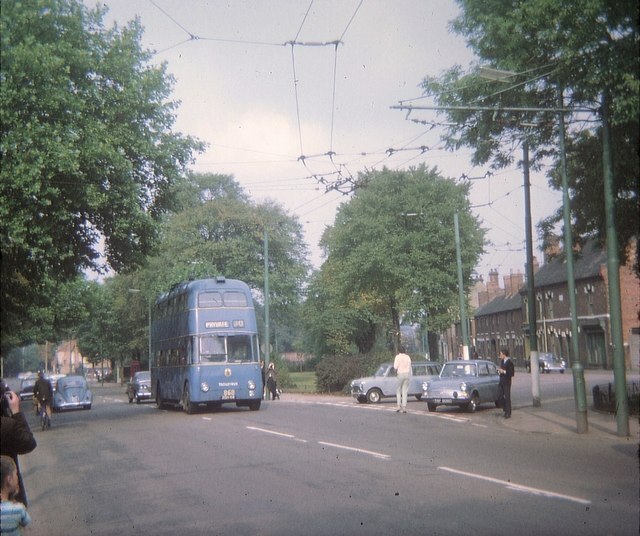 Park Road can be seen on the right with the trolleybus wiring passing along that street to Lichfield Road. Trolleybus routes 15/30 (Blakenall Circular) and 32 (Lower Farm Estate) used that wiring. The trolleybus itself was on wiring that terminated at Bloxwich on route 30. This page has been viewed about 473 times.